AS I WAS WALKING THRU MY CUSTOMERS HOUSE TO CHECK ON SOME CHAIRS WE JUST RECOVERED....I STOPPED IN MY TRACKS WHEN I SAW THIS........AN AMAZING DOGGIE DOOR THEY JUST HAD MADE!! STUNNING!!!! OKAY, NOT TO GET SIDETRACKED (BUT HARD NOT TO WITH THAT DOGGIE DOOR!! 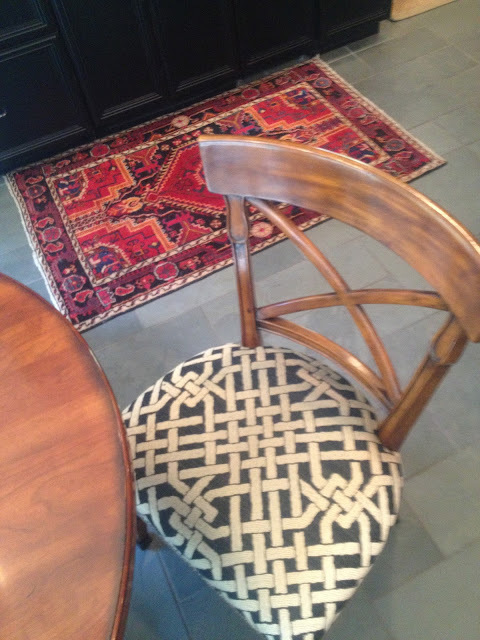 )....NOW ITS TIME TO CHECK OUT THE NEW KITCHEN CHAIR FABRIC!! 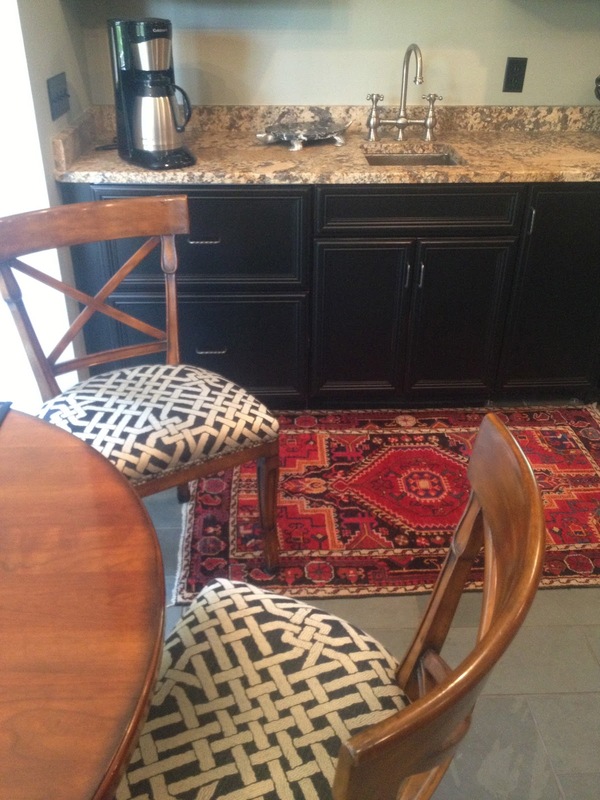 THANKS TO KELLY WEARSTLER FOR LEE JOFA, I HAVE TO SAY I THINK THEY TURNED OUT AMAZING AND LOVE IN THIS COLOR SCHEME! BACK TO THE DOGGIE DOOR-I CANT HELP IT!! AND HERE'S THE DOG IT BELONGS TO- "ZEEK"-THE ADORABLE 88 LB PUP SHIPPED IN FROM MONTANA...OR WAS IT WYOMING? ANYWAY, THIS GOLDEN IS ABSOLUTELY THE CUTEST THING EVER!!!! 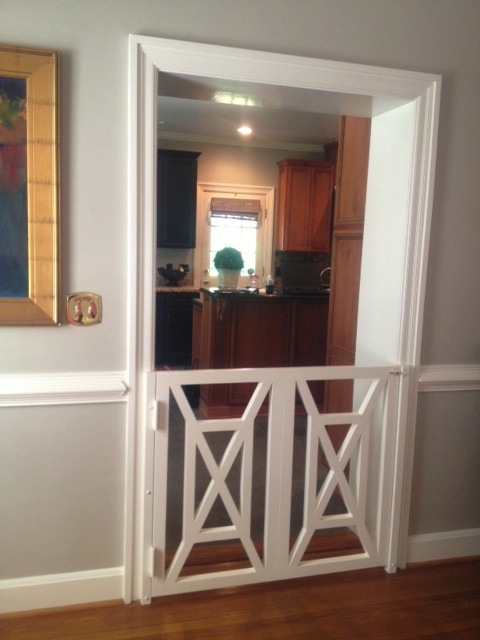 We are needing a baby gate in Beaufort and this just may be perfect...love it!! What a GREAT baby door alternative! Beaufort? JEALOUS!! 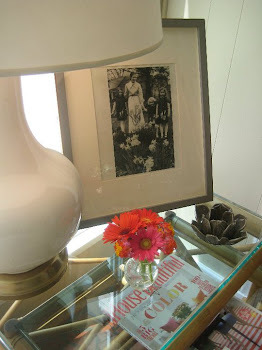 Just found your blog through Pinterest and wanted to say hello! I love your work and really enjoy your "voice". I'm fairly new to blogging myself but I'll definitely be following yours from now on! Yay! Thx susan! And great luck to you and your blog! That is fabulous, it would be perfect for kids or pups! Perfect!!! Love your home, Tracy. wow love the color all these pictures are looking so beautiful.. and i love this sweet doggie, thanks for sharing with us nice post i really like this post.. 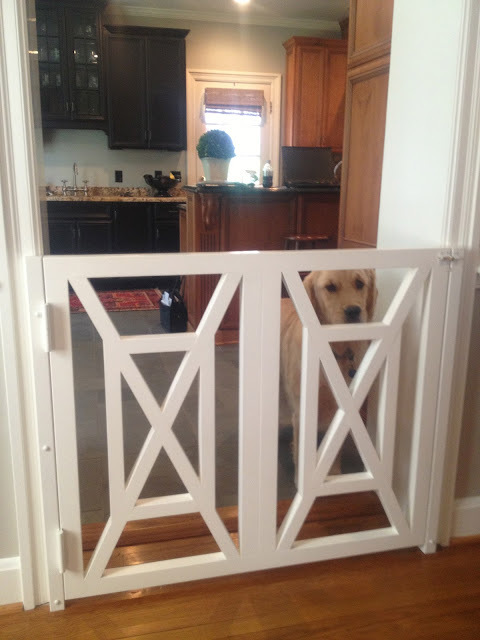 I need this doggie gate! How can I find out how to make one of these? how does one make that doggie door? Do tell.